Are there any who doubt that the Batman monthly title is the best of all the many, many, MANY books starring The Dark Knight Detective at the moment? If so, then Batman #20 should be the book to convince them otherwise. Well worth the $3.99 price tag, this book gives us not one, but two separate stories by two A+ creative teams. Our first story pits Batman against a newly empowered Clayface. 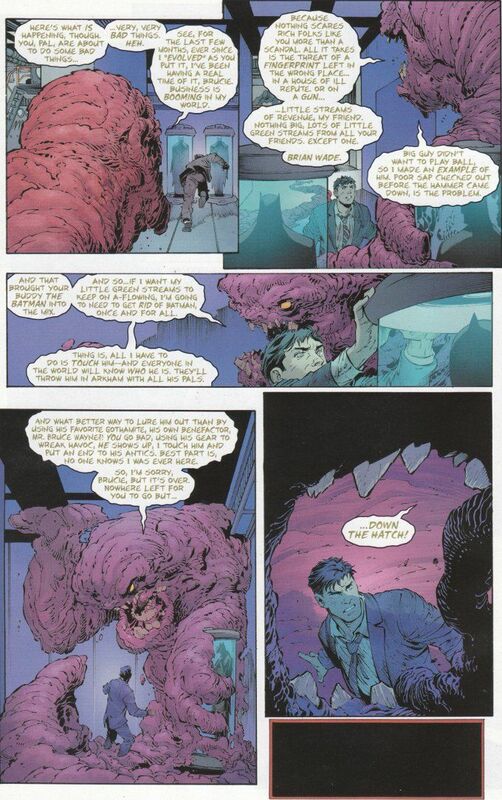 Evolved past his simple shape-shifting and mass-manipulation powers, Clayface now possesses the ability to replicate anyone he touches right down to their DNA. While this new twist proves disturbing enough, Bruce Wayne has bigger problems that being framed for multiple criminal offenses by his dirty doppelganger. Clayface's evolution also removed most of his old weaknesses, meaning all the usual Bat-Gadgets are totally ineffective! It will take all of Batman's cunning to cope with the enhanced muddy menace. Greg Capullo and Danny Miki top themselves, crafting one of the most gloriously gross Clayface designs I've seen in any issue ever. The rest of the artwork is great, of course, but their Clayface character takes the cake. Writing-wise, Scott Snyder deserves credit for upgrading Clayface into a more serious threat while making the change plausible. Despite being all about a changed villain, this story retains the feel of a classic Batman story throughout. More impressively, Snyder manages a few honest surprises toward the end of the issue. The issue's second story is also a treat, placing both Superman and Batman in a situation far beyond their usual comfort zones. 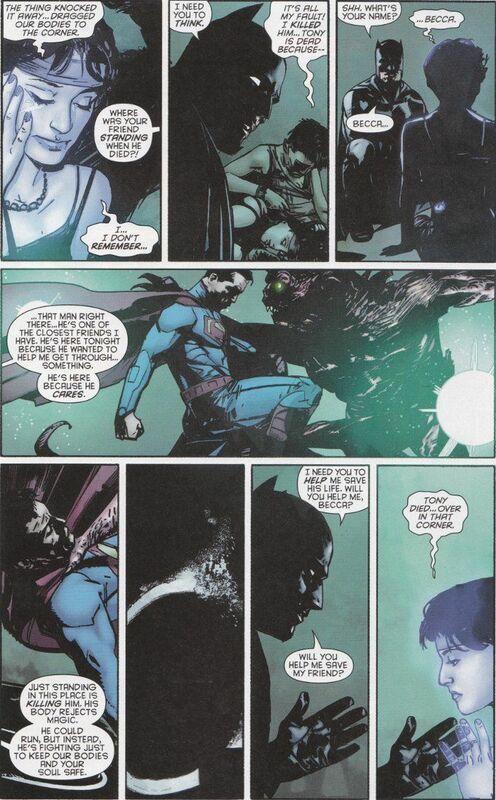 Nominally about Batman and Superman dealing with a botched demon-summoning, this story by James Tyrnion IV is really about the friendship Superman and Batman share and what they mean to each other. The artwork by famed Daredevil artist Alex Maleev also proves to be of the highest quality. There is only one reason not to get this book and that is if you are unable to get a copy of Batman #19 to go with it. Good as the stories contained within this volume are, they are both Part Two of a two-part story. You don't really have to have read the previous issue to enjoy this book but you will get more out of it.